Corporal David Michael Sonka was born in 1989 and raised in Aurora and Parker, Colorado. David graduated from Chaparral High School in 2008 and enlisted in the Marine Corps on August 11 of the same year. After graduating boot camp, MP school, and K9 School, he was assigned to III MEF in 29 Palms, California as a Dog handler. Paired with MWD Falco, they deployed to Afghanistan from May-December 2011, returning safely. He re-enlisted in October 2012 and accepted a new position with MARSOC in Camp LeJeune, North Carolina. He was paired with Flex, a Multi-Purpose Canine. On March 31, 2013 they were deployed to Afghanistan. 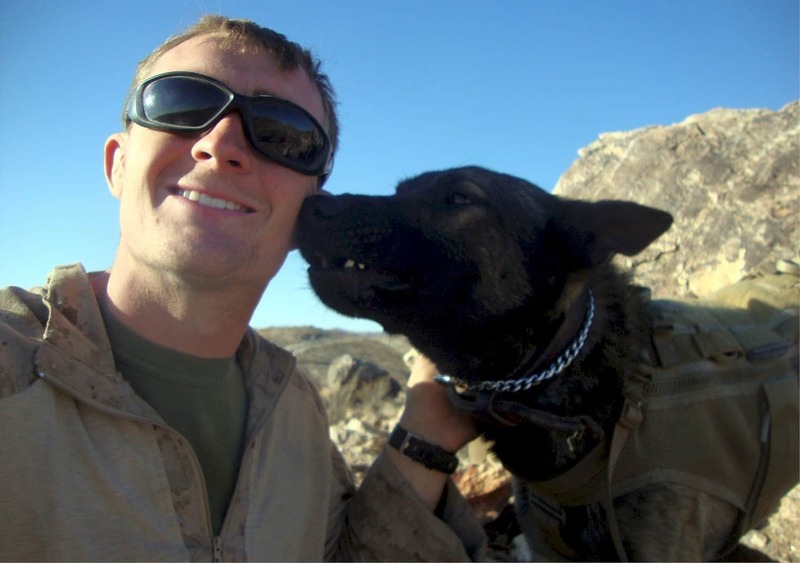 On May 4, 2013 David and Flex were both killed in action along with one other Marine. David enjoyed hunting, camping, running, grilling, watching Broncos football, and spending time with his friends & family alongside his wife Torey and their three dogs. His passion for being a Marine K9 handler was evident in his dedication, sometimes sleeping with the dogs in their kennels and training on his days off. Sonka’s personal decorations include a Marine Corps Achievement Medal, a Marine Corps Good Conduct Medal, a Combat Action Ribbon, and a Purple Heart. We lost a great son, friend, brother, husband, and American!